Hosting Guidance: We do welcome new hosts to the Circle and ask that you attend a few times first so that people get a chance to know who you are, as well, so you get a chance to know the group. Attendance varies from as few as 8 to almost two dozen. You should have suitable seating for about a dozen people if you want to host, including floor space. A sign on the door helps people find you. There is no requirement to supply anything more than water, and attendees often bring a bottle of wine or juice. Some hosts make hot cider in the cooler months. Your home should be relatively easy to find and able to accommodate 6-9 cars within a block or so. A long bank of stairs may be problematic for some attendees, so be sure to point that out when offering. That could constrain attendance. 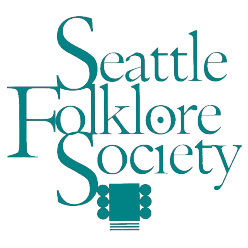 We are Seattle Song circle – but we do venture to Bellevue, Kirkland and even Burien on occasion. Once a year in September, we venture out for a picnic, campfire and sing in Gig Harbor that is really special. Selection criteria: The location is based on early offers, with a preference to mix up locations around town on adjacent weeks. Also hosts who have not hosted for awhile get preference. I also try to avoid two locations away from the core of Seattle on consecutive weeks. There are around five 5th Sundays per year and these are often potlucks, with a couple weeks notice.